Sending online payments is here to stay. Fortunately, collecting online payments is one of the strongest parts of our service and the reason why so many people choose to use JotForm. It is no longer a tedious process to set up a payment form. 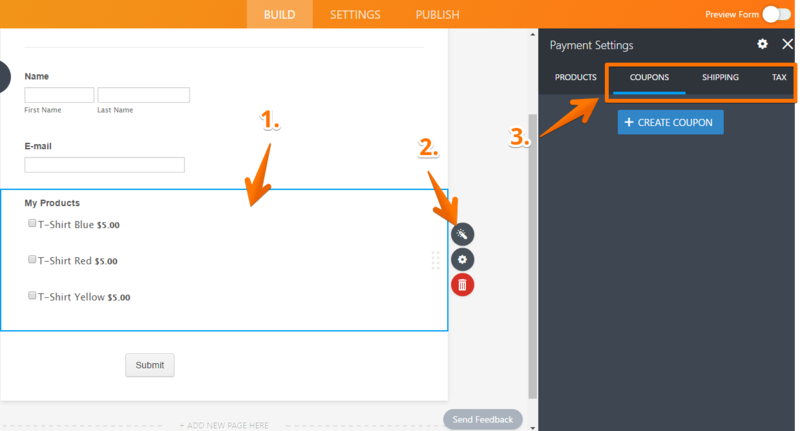 In fact, you don’t have to write a single line of code with our powerful payment integrations. We allow accepting payments securely and efficiently. The payment data is not stored on our servers and is safely protected with 256-bit SSL encryption when submitting to the payment gateway services. We do not charge any commissions. Any transaction fees are entirely based on the payment service you choose. JotForm is a PCI DSS compliant service. We have a PCI Service Provider Level 1 certificate. We'd be happy to provide certificate to any users who would need it for their payment gateway. Just contact our support team. There are so many choices. What should I use? If you would like to accept online credit and debit card payments directly from your form without redirecting to the payment gateway provider's site, then you should choose among PayPal Pro, Stripe, Authorize.Net and other integrations with direct payment options. If an online payment is not needed at all, use the Purchase Order tool. Sometimes you want to receive payments by check, or just provide your form users with a tool to calculate the total for the service they might purchase. The most popular choices for JotForm users are PayPal, Stripe, Authorize.Net and Purchase Order. JotForm covers a wide array of payment structures. In just minutes you can set up any one of the following payment options in your form. Check out this article to see basic payment form examples. 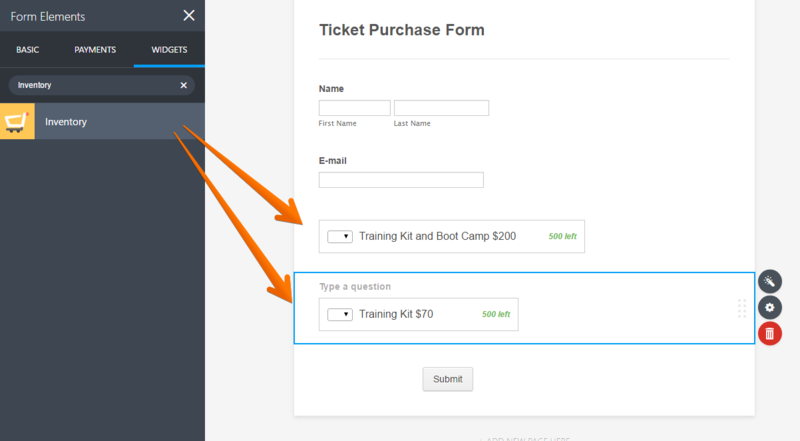 You can setup an Autoresponder Email to automatically send an email confirmation after they have submitted the form. Email templates are fully customizable. Payment tools support configuration of Coupons, Taxes and Shipping. These configurations are optional and available at the end of the payment widget setup process. There are multiple options available, but using the Unique ID Widget is the most common. It can be used to assign unique IDs to every submission received. 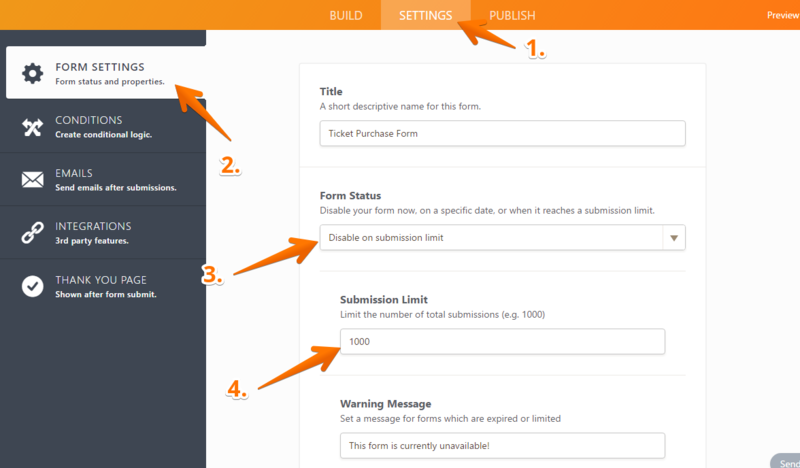 Sometimes you want to have real time, dynamic payment forms. 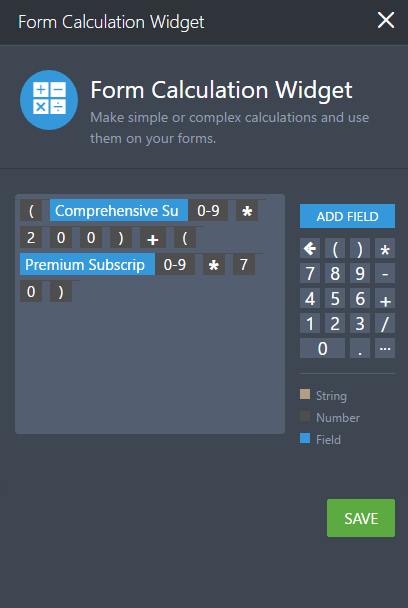 In this case, we can use the Form Calculation Widget to calculate the total amount based on user selections and inputs. Then, we can use the calculated amount on the form payment tool. 1. 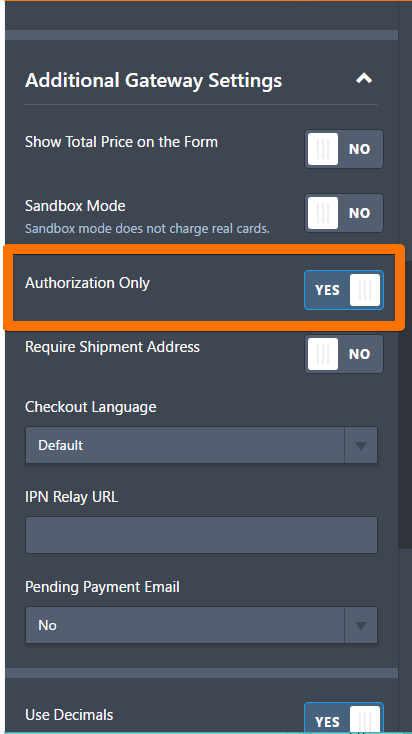 If you are selling one item per submission order, then you can set a Submission Limit to your form. The form will be simply disabled once the number of allowed submissions is reached. 2. 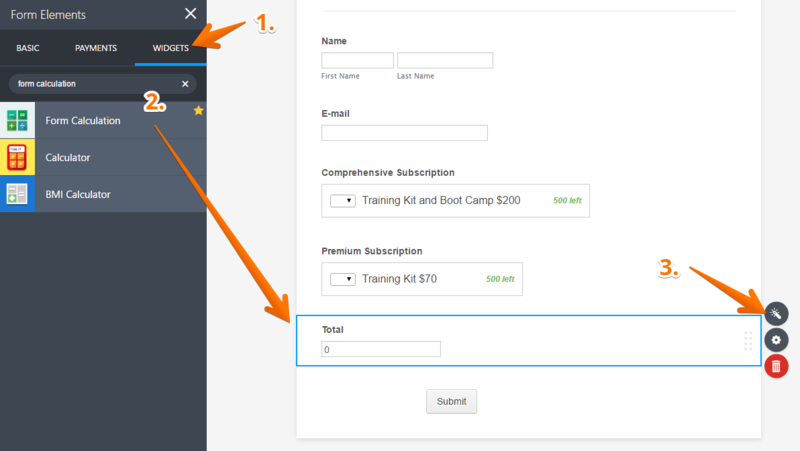 If this is a multi-item form, it is possible to use multiple Inventory Widgets in combination with the Form Calculation Widget and one of the Payment Tools. The Inventory Widget fields will be used as separate products and then calculated together with the Form Calculation Widget. Then, we added a Form Calculation Widget that will calculate the total value of the products selected in the Inventory Widgets. This is how my formula is setup for the sample subscription products that we have. Basically, the Form Calculation Widget fetches the quantity selected in the Inventory Widget so we need to multiply it with its actual price value. 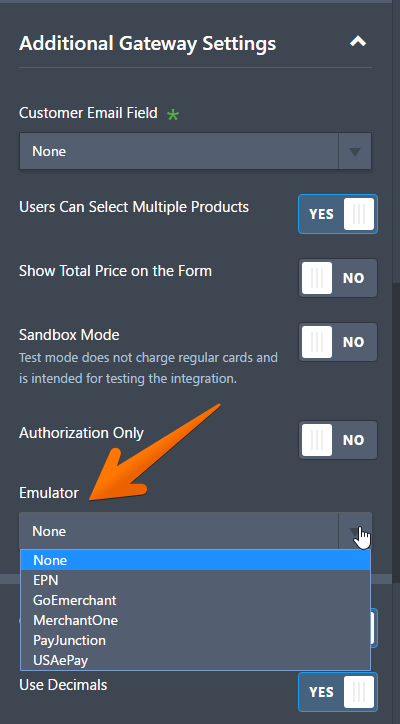 If you want to use a payment processing service that is not currently supported but can emulate Authorize.Net, then you may still be able to use it with JotForm. The following services support Authorize.Net emulation, so we can send the transactions to them. To do so, open up the Authorize.net payment field’s properties, and select the emulator option. Thanks so much for sharing this awesome info! Keep posting. We are merchant services provider company, we provide merchant account to new or existing business. We also help to Incorporate business in US. If you wish to start your business in USA, we have complete solution for you i.e. From Incorporating business to provide merchant account for payments transaction. Willing to help you with our services. Provide us your business details so that we move toward processing. I used authorize.net to set up payments but it doesn’t allow me to see customer credit card number which i need enabled to upload to my other system where i use authorize.net gateway with professionalpetsitter to take payments and send invoices. Please help me figure this out asap! I offer offline and online payment options. When users select to pay offline, they are naturally still checking the online payment options. When they submit form it automatically sends them to PayPal; since they selected "offline" previously, they close the PayPal window and the form never properly submits. I have a note on my form to leave the "Pay Online" section completely blank if they are making offline payments, but lots of parents still naturally select the online payment options, are pushed to PayPal site, close the form, and their form never submits. Do you have a solution to this issue? I would like to remove PayPal and add Square to my existing form, Request Services. I do not want to recreate the form. Can I use the form as a credit authorization form ONLY. I want the customer to chose product and self calculate as well as provide credit card information. However, I do not want it to LINK to any online payment code. How can insure payment will not be processed? I am located in Belgium, which payment tool would be the most suitable? I would like my clients to be redirected to the payment website immediately and not needing a credit card or PayPal account. Hello. I set up my form with the Inventory and Form Calculation widget. How do I pass that information over to Paypal to process the payment? How can I use coupons on custom payments? We use Blue Pay - do you know if this can be added to take payments? images are not showing in this user guide.